There is a lot more going on beneath your soil than you might have realized! 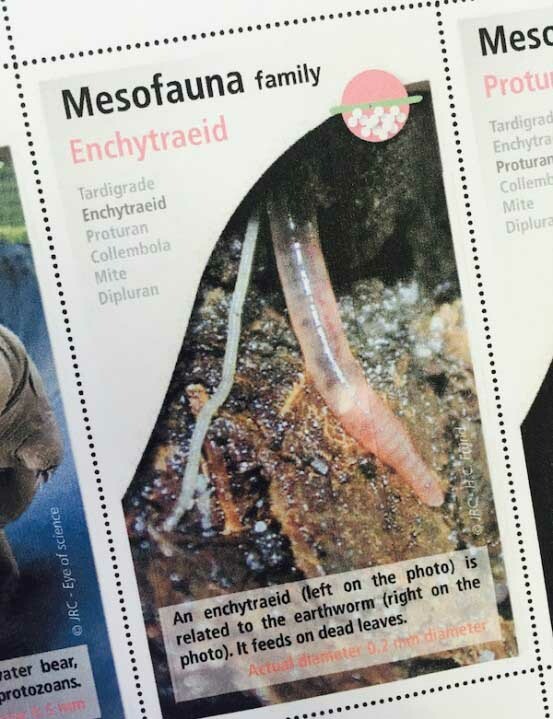 Enchytraeid are part of the Mesofauna family. Like their cousin the Earthworm, they are segmented, but they are smaller and thinner with a white, translucent appearance. They feed on bacteria, fungi and yeasts, and help to break down material such as dead leaves and other garden litter. Once broken down, these materials provide nutrients for your plants. These slinky guys prefer acidic soil. Areas of your landscape that will be more acidic might be the areas that a Japanese maple, hydrangea or azaleas are planted. Enchytraeid are sensitive to drought so they’ll gravitate to the moister parts of your landscape. Our organic Soil Building treatments don’t harm beneficial organisms like the enchytraeid or earthworms. Organic soil stimulants and fertilizers keep soil healthy, full of microbial activity and help to maintain moisture levels in the soil. That’s pretty important when the summer heat comes on and the extra rainfall disappears. Important soil organisms such as these motivate us to keep the soil healthy, organic and well maintained. When we keep them happy, they keep our plants healthy! See our previous Soil Creature Feature “Nematodes: Good or Bad?” at our blog here.